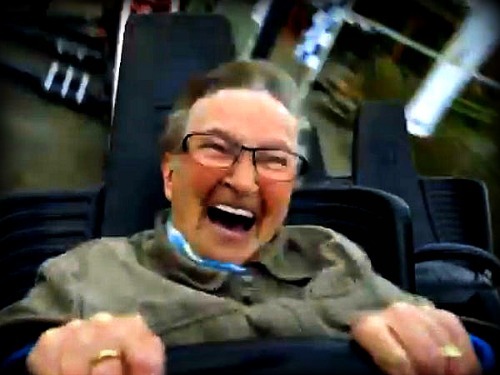 Whenever you need a little laughter to lift your spirits, just give this video of an 78 year old grandma experience her first roller coaster ride. Ohmygod I loved this! You can't help but laugh along with her, and when she asks at the end if her hair is ok, well, that is the icing on the cake. That's how I felt too, Shelley! Her joy is fantastic.